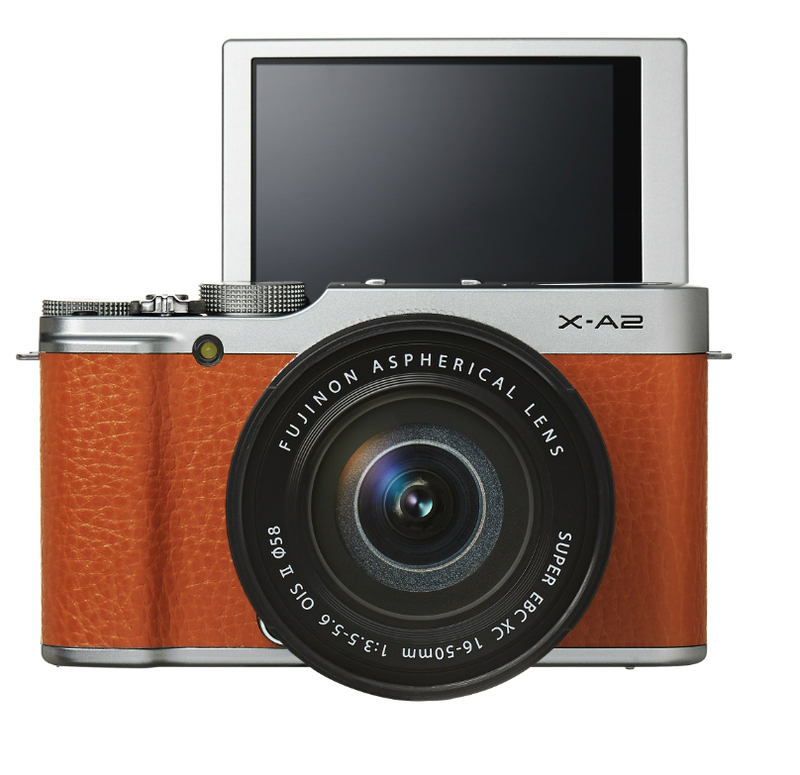 The brown X-A2 Mirrorless Digital Camera from Fujifilm is a versatile camera featuring a 16.3MP APS-C CMOS sensor and EXR Processor II to deliver high-resolution stills and full HD 1080p video. The Fujifilm XQ2 digital camera is a point-and-shoot featuring a 12MP 2/3" X-Trans CMOS II sensor and EXR Processor II to produce high-resolution stills and full HD videos. 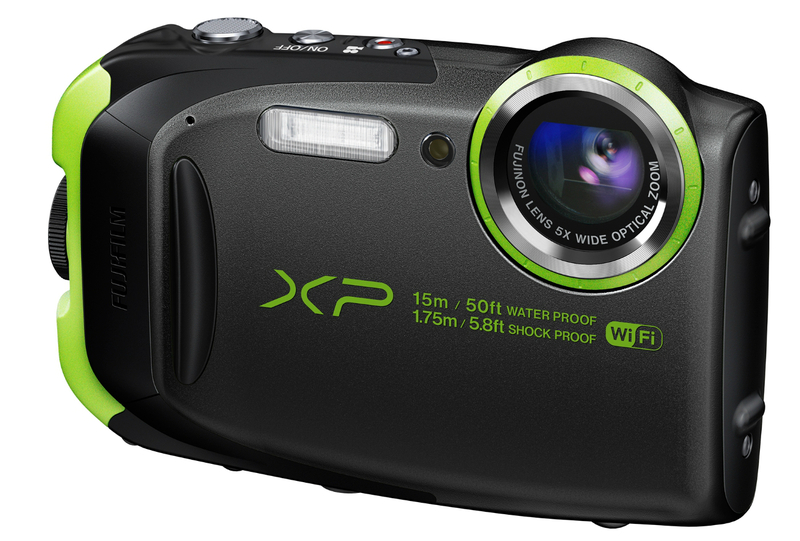 The black FinePix XP80 Digital Camera from Fujifilm is a point-and-shoot featuring a water, shock, freeze, and dustproof construction. 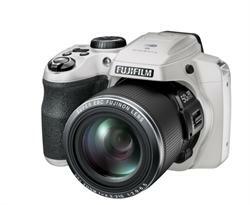 The FinePix S9800 Digital Camera from Fujifilm features a 16.2MP 1/2.3" CMOS sensor along with a 50x optical zoom lens. Since our store opened almost 40 years ago, we've gone beyond simply supplying you with professional gear. We've aspired to share our knowledge of technology with you in the most personalized way. Visit our store, and you'll find a sales staff made up of industry professionals who share your passion for technology and will help you use it to its fullest potential. As you choose from over 200,000 products, feel free to enlist their help. 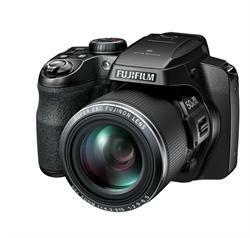 NEW YORK, NY--(Marketwired - January 15, 2015) - B&H Photo is pleased to share the announcement of the Fujifilm FinePix S9800, S9900W, XP80, and XQ2 digital cameras, the X-A2 mirrorless digital camera, and the XC 16-50mm f/3.5-5.6 OIS II and XC 50-230mm f/4.5-6.7 OIS II X-mount lenses. 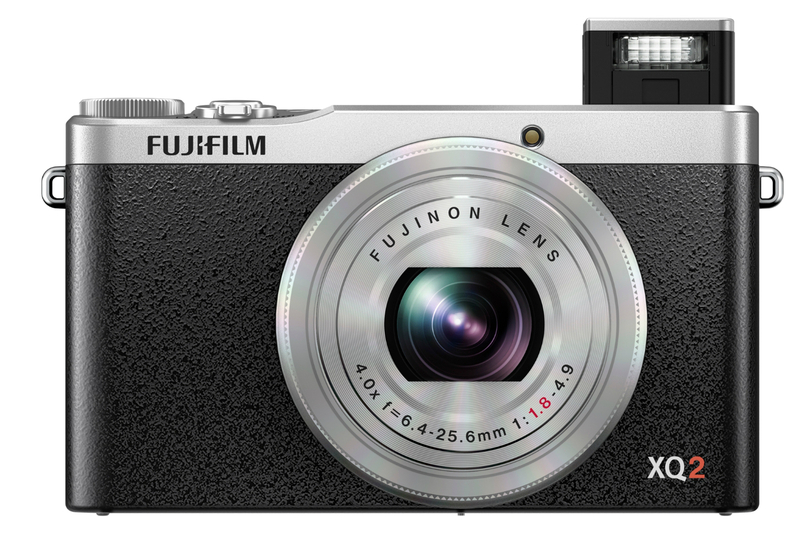 With its 175° tilting LCD screen and Eye auto focus, the Fujifilm X-A2 is a selfie-ready mirrorless camera with a 16.3MP AMPS-C CMOS II sensor and an included XC16-50mm II f/3.5-5.6 OIS zoom lens. The camera's EXR Processor II allows for fast start-up time, AF speed, shutter lag, and shooting interval. 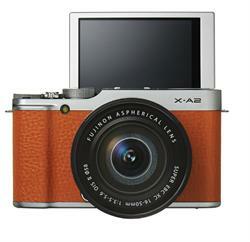 Shooting in low light with the X-A2 is enhanced by a sensitivity range up to ISO 25600. The camera also shoots Full HD 1080p video at 30 fps, has built-in Wi-Fi, Super i-Flash, a new Classic Chrome film-simulation mode, and sharing capabilities with INSTAX Share Printer and SHARE Smartphone Printer. It is available in Brown, Silver, and White. The Fujifilm XC 16-50mm f/3.5-5.6 OIS II X-mount lens is a wide-to-normal zoom lens (24-76mm equivalent) with 12 glass elements in 10 groups, including three aspherical and one ED elements. Seven round-edged aperture blades allow for pleasing out-of-focus areas. Built-in OIS reduces the appearance of camera shake when shooting with longer shutter speeds. The Fuji XC 50-230mm f/4.5-6.7 OIS II X-mount lens (76-250mm equivalent) complements the 16-50mm, giving you a full wide-to-tele range when paired with it. The 50-230mm lens has OIS, 13 elements in 10 groups, including one aspherical element and one ED element, as well as a precision stepping motor for high-speed AF. The Fuji QX2 is a compact point-and-shoot with a 12MP 2/3" X-Trans CMOS II sensor, EXR Processor II, and a Fujinon 25-100mm f/1.8-4.9 4x zoom lens. The sensor design removes the Optical Low Pass Filter, resulting in less moiré and sharper images. Lens Modulation Optimizer further enhances image quality, and a three-stop OIS reduces the appearance of camera shake when shooting with long shutter speeds or focal lengths. The QX2's lens is coated with HT-EBC to reduce flare and ghosting. Additionally, the camera has built-in Wi-Fi, Full HD video, Classic Chrome mode, and sharing capabilities with INSTAX Share Printer and SHARE Smartphone Printer. It is available in Black,White & Black, and Silver. The FinePix S9900 and S9800 both feature a 16.2MP CMOS sensor, sensitivity up to ISO 12,800, and a 50x optical zoom 24-1200mm f/2.9-6.5 equivalent lens that can be extended to 100x zoom using the Intelligent Digital Zoom. Super Macro Mode give the lens a minimum focus distance of just 0.4" / 1cm. The S9900W includes built-in Wi-Fi, which allows for remote shooting and easy photo sharing via a smart device. Both cameras have a startup time of 1 second, can autofocus in as little as 0.15 seconds, and have a 0.6-second buffer between shots. Continuous shooting speed allows the cameras to shoot 10 fps for up to 10 shots. They also feature 5-axis image stabilization, 11 advanced filter effects, Motion Panorama 360°, and HDR capture. The Fuji XP80 is a rugged digital camera with a 16.4MP CMOS sensor and a 28-140mm 5x optical zoom lens. It is dustproof, waterproof down to 50', shockproof from falls of 5.8', and freeze proof to 14°F. It also features built-in Wi-Fi, Full HD 1080p and slow-motion video, Optical Image Stabilization, and an Action Camera Mode to enable hands-free shooting, as well as Motion Panorama 360° and HDR capture modes. It is available in Graphite Black, Blue, and Yellow. B&H Photo Video is an authorized Fujifilm dealer, with the most up-to-date Fuji product information, product pricing and promotional offers. B&H carries a host of Fujifilm products, which include cameras, lenses, printers, scanners, binoculars, film and more. As the world's largest source of photography, video and audio equipment, B&H Photo Video is known worldwide for its attentive, knowledgeable sales force and excellent customer service, including fast, reliable shipping. Visitors to the website can access a variety of enlightening articles and educational videos. B&H has been satisfying customers worldwide for 40 years. http://www.bhphotovideo.com/. The B and H YouTube Channel has an unmatched wealth of educational photographic content. Our entertaining and informative videos feature product overviews from our in-house specialists, as well as photography industry experts. You can even view the B&H Event Space presentations from many of the world's foremost photographers, and interviews with some of photography's most dynamic characters. Tap into this exciting resource by subscribing to the B&H YouTube Channel. When you're in Manhattan, take a tour of the B&H Photography SuperStore, located at 420 Ninth Avenue. The expo continues all year round, in the camera kiosks at B&H. Featuring the newest cameras, the kiosks are manned by manufacturer representatives, who are there to guide you and demonstrate the latest photographic technology. With hundreds of products on display, the B&H Photo SuperStore is the place to test-drive and compare all the latest photography gear.